Percentage Value add of industry for selected African countries: South Africa, Egypt, Kenya. 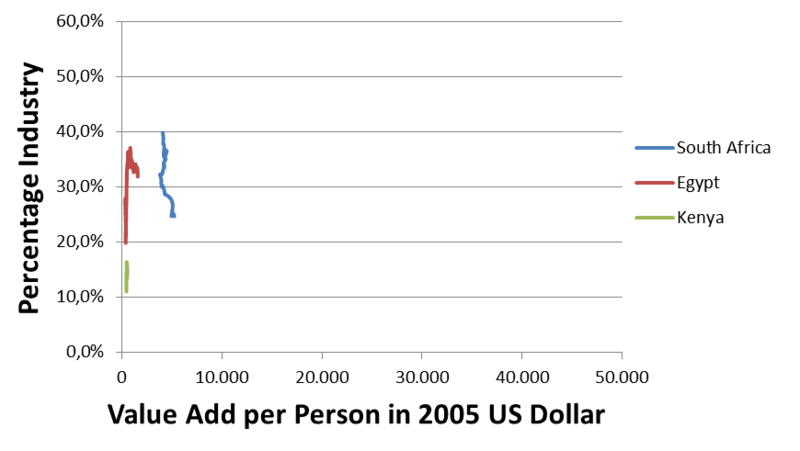 Graph shows development between 1970 and 2012. Copyright Christoph Roser on AllAboutLean.com.